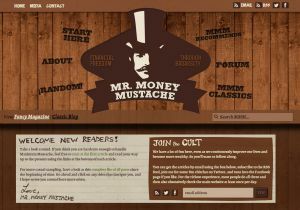 mrmoneymustache.com – Mr Money Mustache is arguably the King of Frugality. He has massive traffic and has been living the frugal lifestyle with his wife and son for what seems forever. Sometimes you know the long haul working for someone else lifestyle just isn’t going to work for you and decide the path to financial freedom might need a few sacrifices. Although financial freedom is usually attained after a lifetime of work, Mr Money Mustache has found a backdoor and has managed to retire by age 30. He achieved this through frugal living and a massive saving plan. Whilst working he managed to save upto 75% of his earnings with the vision to invest and live off the interest from managed funds and other investment opportunities. He achieved this by living well within his means and now blogs about his personal beliefs and extreme frugality tips. How they Make Money: – This frugality blog uses affiliates as it’s primary method of monetization. 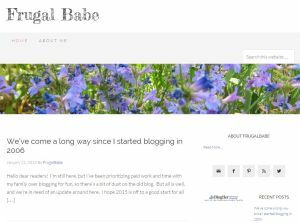 frugalbabe.com – With a growing family the FrugalBabe has always lived a modest lifestyle but when taking on a business loan and associated debt she started to really knuckle down and paid off the loan in quick time. Debt and Frugality rarely play nice together, so it’s not surprising that paying off the mortgage is also a big ticket item. FrugalBabe is looking at another 10 years to financial independence, but is surely going to reach it if her family continues to embrace frugality. The blog is a real personal account of her life, but there are some great tips in the mix, if you persist and become an avid reader. This blog has been running since 2006, and there is quality in each post from day one. How they Make Money: – This blog uses revenue from text based links, google ads and some affiliate links. Although main income coming from a regular job and doing ghost writing. 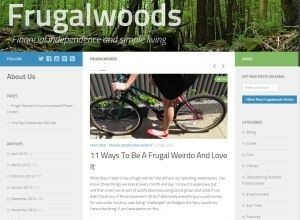 frugalwoods.com – Well the first thing I notice about this frugality blog is how shy the authors are, and this get’s me thinking if their dog Frugal Hound is actually pulling the strings. It’s a shame because it’s hard to connect with a blogger when you can’t look into their eyes, but I guess they have their reasons for anonymity. The blog itself is well written which isn’t surprising when you write about something that you know very well, that being ‘yourself’. Having done the 9-5 Mr and Mrs FW quickly realised it’s not as much fun as the job ads make it and there is considerably more in life to look forward to. By paring down their expenses it seems they are only a few years away from financial independence and a lifestyle that most only dream of or wait to attain after they are 60. Now I’ve found it, I’ll be spending more time on this blog, getting to know the headless Mr and Mrs Frugalwoods. How they Make Money: – Their claim is they are not in this blog space to make money but occasionally they do use affiliate links. feistyfrugalandfabulous.com – Tenille Lafontaine started this blog as place to share online deals and coupons to her friends and family and this then evolved into a Mommy Blog site. With a growing family and the need to be more thrifty to save more money, frugal living kinda took over. Tenille says “being frugal is not about being cheap” which is very true and goes on to say it’s about getting value for money. Just these words alone make me feel confident she gets what frugality is about. There are a truckload of coupons and offers in these blog posts and the target audience is clearly the frugal market and not so much sharing a personal story. The site is a little slow to load so be warned. This is probably due to the numerous ads links that are loading first. This site is not so much a blogging story but more so a frugality resource. 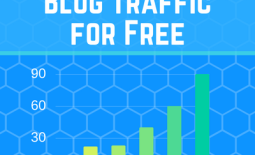 How they Make Money: – This site uses Google Ads and affiliate links, which work well with popular blogs already receiving plenty of organic traffic. Plus there is a spattering of sponsored posts. moneysavingqueen.com – Sarah Roe is the Money Saving Queen and started her journey with couponing in 2005. It wasn’t long after, she became an expert and started running coupon workshops. And now runs a successful blog and has diversified her blog into a brand. Sarah is now doing TV, radio and public speaking and has a busy schedule as moneysavingqueen.com is just one site in her blog empire. Again this site is more like a valuable resource for those living with a frugal family and find couponing a rewarding exercise. 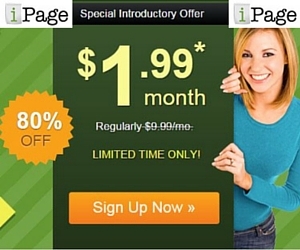 There are some great Frugal Tips, but mainly the site has moved into freebies and push advertising. 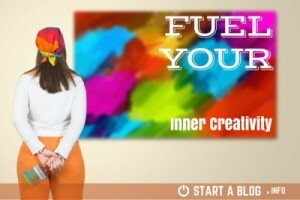 Sarah is a great example of a frugal blogger who has made it big time through persistence to her craft. How they Make Money: – This site uses Google Ads and Sarah is doing a lot of speaking engagements and mass media. Some posts also read as sponsored posts but there is no disclaimer, so I can’t confirm this. 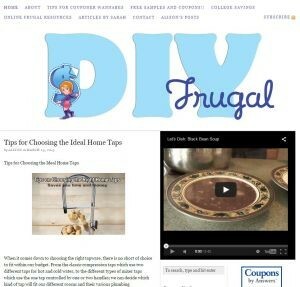 diyfrugal.com – Sarah Peppel transitioned from traditional media to a blogger and now has a few sites in her portfolio. Which it appears where she spends most of her time. Sarah is the business woman and Alison Shaffer appears to be the real blogger posting on this site although the most recent posts appear to be sponsored. So why is this blog listed in here? 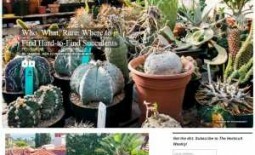 In it’s early days when the owner was active, diyfrugal.com had some great articles and tips for frugal living, and the readership no doubt grew rapidly. Obviously, as the owner diversified into other blog sites the quality went down but the site was still getting the organic traffic to feed the ad network. It’s a classic short term gain, but eventually the loyal readers will just look for something else. A better strategy would have been to sell it at it’s peak and allow another blogger to profit from the popularity, thus allowing you to focus on your other projects. Selling your blog with readers is another way you can make money. How they Make Money: – Paid links, sponsored posts and they charge guest posters a fee for publishing their work. This last one is a little unusual, but I guess you are paying for the privilege of getting eye balls on your posts. simplesavings.com.au – And now for something completely different, a subscription based blog. 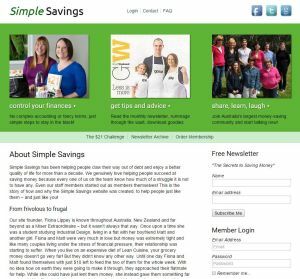 Simple Savings has established itself as the premium frugal community in Australia and New Zealand. Although they offer a free subscription in the form of a magazine based email, the good stuff is locked away in their vault. The savings vault contains the savings tips and tricks from years of research and community participation. At the time subscription based models were shunned by the online community as something that wouldn’t work, but the owner Fiona Lippy has stuck to her guns and proved over 10 years that the subscription model works given you find the right niche, and claims the title of Frugal Queen in Australia. As they say “sometimes you have to spend money to save money” in the world of frugality as long as there is a solid Return on Investment. How they Make Money: – Subscription based membership and a book. 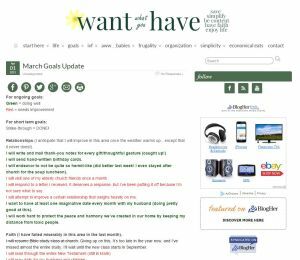 wantingwhatyouhave.com – Heather is an open book, her life and the life of her family feature heavily in this frugal blog. There are a massive amount of extreme tips and information on simple living and frugality that has been curated over the years. I liked the page about listing goals as this is a great way to make yourself accountable, after all most bloggers write for themselves first. The others that write for the advertisers don’t tend to last as long. Imagine reading a book that was just full of advertising and paid sponsorship, there is a lesson in that. How they Make Money: – As they state, cash advertising, sponsorship, paid insertions and other forms of compensation are the primary money making opportunities. There is also a donations button. 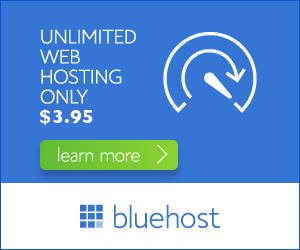 busy-at-home.com – Who isn’t busy at home? The quality and volume of posts is astounding although the run of site ads can be a little distracting. It’s times like these you wish you had an ad blocker installed. The potential is certainly there and a lot of work has gone into this sites content but I just can’t stop being distracted by those ads. Another great example of what’s good but can be ruined by over zealous advertising. Download an ad blocker before you visit this site. NB: I revisited this site again to get a site image and thankfully the run of site ad was gone. Normally, you don’t get a second chance to make an impression so best make the first one memorable and you’ll get repeat visitors. How they Make Money: – There is a lot going on her including Google Ads, affiliate links and sponsored posts. 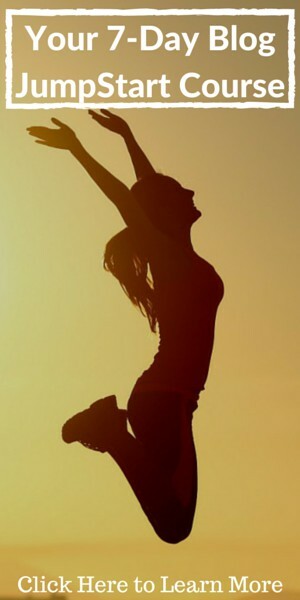 thefrugalgirl.com – Kristen is ‘The Frugal Girl’ a family woman and someone who has been saving money from an early age. Although frugality can be taught, those that have lived a frugal life forever, find it natural and don’t need to work so hard at it. As Kristen says she is ‘passionate about green living, food waste, and buying super high quality stuff that lasts’ and writes about practical day-to-day advice for frugal living. Kristen’s daily routine is impressive especially since she is also home schooling her children. Thrifty and frugal people tend to be very busy saving money, but as stated earlier if you’ve always been doing it then it’s just a natural way of life. I’d rather Leave The Wheel and be busy at home, than spend 10 hours a day at work and being a price taker because you don’t have time to scout out the bargains or prepare a good home cooked meal for less. There appears to be a wad of sponsored posts to get though, but some of the earlier posts have some great ideas. Unfortunately, with no site navigation it’s a little had to jump to the good stuff. Persist it’s worth it. How they Make Money: – The Frugal Girl is very clear in her offer of sponsored posts, sidebar advertising and review/giveaway services. She didn’t mention affiliate ads, but these exist throughout the site. Well what a diverse category, frugal living is. Saving Money is clearly the objective and as one blogger said “being frugal is not about being cheap” and she was right. You may have also noticed that most frugal bloggers were female, which could be an indication of who controls the purse strings, it could also be a time related thing, as most had traditional families. The only male blogger had carved his way to financial independence, which freed up a lot of time, so maybe this is also an important point to consider if you are thinking of starting a blog. There is lots to love about frugal living, and the environment could sure do with a hand right now. Frugality is one way you can lessen your footprint on this earth whilst saving money along the way. Sure it might a little more time but generally it’s also a lot healthy lifestyle because you aren’t buying junk food and ready to eat foods, which only have a limited shelf life. Pro Tip: If you keep working at building your audience you will make money eventually. It takes time, and those who post regularly eventually become the winners. Also, blog about something you are passionate about because this will come naturally, and you will be less likely to give up along the journey. Share the post "10 Best Frugality Blog Sites worth reading and how they Make Money Blogging"